Ben Zhong Tang is Stephen K. C. Cheong Professor of Science, Chair Professor of Chemistry, and Chair Professor of Chemical and Biological Engineering at The Hong Kong University of Science & Technology (HKUST). His research interests include macromolecular chemistry, materials science, and biomedical theranostics. He is spearheading the research on aggregation-induced emission (AIE), a topic ranked no. 2 in the areas of Chemistry and Materials Science by Thomson Reuters in its report on Research Fronts 2015. Tang received BS and PhD degrees from South China University of Technology (SCUT) and Kyoto University, respectively. He conducted postdoctoral research at University of Toronto. He joined HKUST as an assistant professor in 1994 and was promoted to chair professor in 2008. He was elected to the Chinese Academy of Sciences and the Royal Society of Chemistry (RSC) in 2009 and 2013, respectively. He is currently serving as Dean of the SCUT-HKUST Joint Research Institute. Tang has published >1,000 papers. His publications have been cited >50,000 times, with an h-index of 112. He has been listed by Thomson Reuters as Highly Cited Researcher in both areas of Chemistry and Materials Science. He received the State Natural Science Award (1st Class; 2017) from the Chinese Government, the Scientific and Technological Progress Award from the Ho Leung Ho Lee Foundation (2017), Senior Research Fellowship from the Croucher Foundation (2007), etc. He is now serving as Editor-in-Chief of Materials Chemistry Frontiers (RSC & CCS). In 1987, Dr Lau joined the Hong Kong Aircraft Engineering Company Ltd (HAECO) where he was employed as a craft apprentice in the aircraft maintenance division for 4 years. He received his Bachelor and Master degrees of Engineering in Aerospace Engineering from the Royal Melbourne Institute of Technology (RMIT University, Australia) in 1996 and 1997, respectively. Within that period, he also worked for General Aviation Maintenance Pty Ltd, Australia, as an Engineer Trainee, and for the Corporative Research Centre for Advanced Composite Structures (CRC-ACS) Australia, as a Research Assistant designing a repair scheme for composite performs. He received his Doctor of Philosophy (PhD) from The Hong Kong Polytechnic University in 2001. Thereafter, he was appointed Assistant Professor in 2002 and promoted to Associate Professor and Full Professor in 2005 and 2010, respectively. 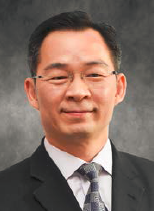 In 2013, he was appointed as Associate Dean (Industrial Relations) of the Faculty of Engineering and Alex Wong/Gigi Wong Endowed Professor in Product Design Engineering. Based on his outstanding research performance in the fields of advanced composites, FRP for infrastructure applications, smart structures and nano-materials, he has received numerous awards (for both research and teaching) including: The Best Paper Awards on Materials (1998), The Sir Edward Youde Memorial Fellowship Award (2000), Young Scientist Award (2002), Young Engineer of the Year Award (2004), Faculty Outstanding Award for Research and Scholarly Activities (2005), Award for Outstanding Research in Nanocomposites for Space Applications, USA (2006), Chemical Physics Letters, Most Cited Paper 2003- 2007 Award, President Award in Teaching 2008, Award for Innovative Excellence in Teaching, Learning and Technology at the 20th International Conference on College Teaching and Learning, USA (2009). He is also the Winner of the Ernest L. Boyer International Award for Excellence in Teaching, Learning, and Technology, in the same Conference (the first scholar outside the United States to receive this honour) and the Most Cited Paper Awards in Composites Part B: Engineering (issued by Elsevier Science). In 2011, Dr. Lau received the Outstanding International Researcher Award and the Outstanding International Research Leader Award from the International Association of Multidisciplinary Research (IAMR). This marks the first time that anyone has received both the awards making his achievement quite exceptional. In 2013, he was also awarded The University Grant Committee (UGC) Award for Teaching Excellence. Due to his significant contribution to the field of science and engineering, he was elected as a Fellow of the European Academy of Sciences in 2007, with the citation “For profound contributions to materials science and fundamental developments in the field of composite materials”, and was the first scholar in Hong Kong to receive this honor. In 2016, he was also elected as a Fellow of European Academy of Sciences and Arts. Three of his articles published in Composites Part B: Engineering; Composites Science and Technology; and Chemical Physics Letters were ranked in the TOP 1% MOST CITED ARTICLES within their field in 2006 and 2007, according to Essential Science IndicatorsSM. Six of his papers have been ranked among the top 25 hottest articles in Composites Part B: Engineering, issued by ScienceDirect, Elsevier (two of them were ranked No. 1 in 2007). 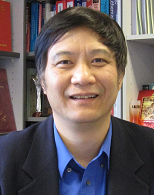 Since 2002, Dr Lau has edited 5 books and published over 260 scientific and engineering articles and his publications have been cited over 4900 times with an h-index of 34 (Google citation 12,000 with the h-index of 52). Dr. Lau has also actively participated in many consultancy works with the industry. The scope of his works have mainly focused on failure analyses on different engineering systems. 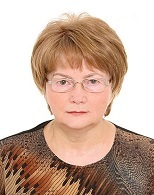 Prof. Perova completed her PhD at Leningrad State University in 1979. She joined the staff of Vavilov State Optical Institute (St. Petersburg, Russia) in 1979, where she was involved in the characterization of condensed matter using far-infrared and Raman spectroscopy. In 1998 Prof. Perova took a position of the Research Director of Microelectronic Technology Laboratory (MTL) at Trinity College Dublin and from 2007 she is the Director of MTL. Since 2011 she is a Fellow of Trinity College Dublin and since 2013 she is a Fellow Emeritus. Prof. Perova’s research interests are principally related to the optical characterization of condensed matter, with an emphasis on the analysis of the composition, stoichiometry, molecular orientation, stress and strain in amorphous solids, liquid crystals, photonic crystals and semiconductors. She has over 270 publications in books and referred journals. Prof. Perova has given numerous invited talks at Universities and Research Institutes in Europe, Russia, Australia and Mexico and several invited and keynote talks at International Conferences. Prof. Perova is acting as a Reviewer Editor for the journal Frontiers: Frontiers in Materials and is a member of the Editorial Board of Asian Chemistry Letters journal. Hisaki Watari has received his PhD in Mechanical System Engineering, from Gunma University, Japan in 2006. He has been researching into properties of magnesium alloy by rapid cooling by using twin roll casting in these fifteen years in Gunma University and Oyama National Colleague of Technology in Japan, in UMIST in the UK. He is now the chair of the Japan Association of Aluminum Forging Technology. He has published more than 130 papers in journals and conducting works relating metal forming of light metals, such as aluminum and magnesium alloys.